The California Audio Show in San Francisco couldn't have gone better even if we scripted it. Our room showcasing the new Audion 300B Special Edition pair with the new Spatial M1 speakers was the buzz of the show. People came back to our room again and again. Not only during a day, they come back all three days. Even other exhibitors came into our room because they wanted to know 'what all the buzz is about'. Comments from attendees and even exhibitors: "Incredible sound." "Most musical room at the show", "Ok, where's the trick? No way that amp can put out that amazing amount of bass", "My favorite room of the whole show", "Seriously, 8.2 watts is doing all that", "Thank you for an amazing experience", " "What a relief from all the other rooms. I could live in this room", "Your room was definitely a standout. ", "I want the whole system", "Amazing", "Sensational", "Incredible", "Almost hard to believe" .... and on and on. We did not confine our playlist to audiophile music. We play heavy orchestral to heavy blues and rock to female and male voice and everything in between. The important concept for us was to show you did not have to confine your listening to a narrow range of music. This system can play it all. 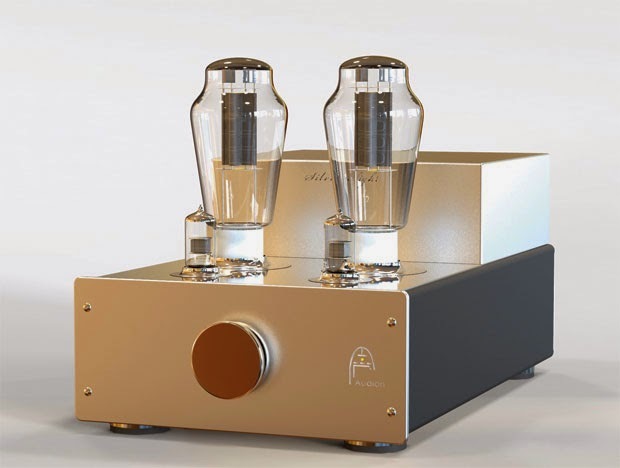 Audion has tremendous drive and the new 300B SE had 300B lovers in shock how Audion was able to make the tube linear from 17- 24Khz. 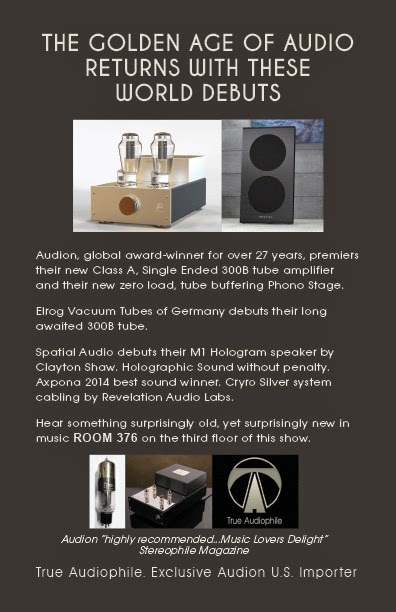 Visit ROOM 376 of the California Audio Show in San Francisco to be the first in the world to hear these new audio products. 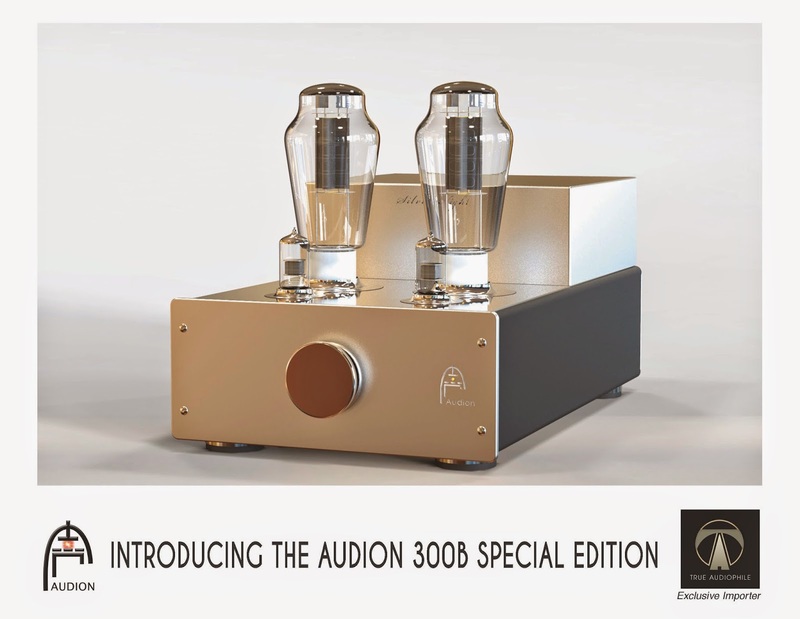 Audion Special Edition 300B stereo amp. Elrog 300B Vacuum Tube. Spatial Audio M1 Open Baffle Speaker that has all the holographic sound with none of the drawbacks. Special carbon jacketed, pure silver Cabling by Revelation Audio Labs. Only a few more days until the California Audio Show in San Francisco. Be sure to come by our room 376, listen to some good tunes and say hello.